Works as an overshirt or lightweight jacket, with jeans or with slacks. 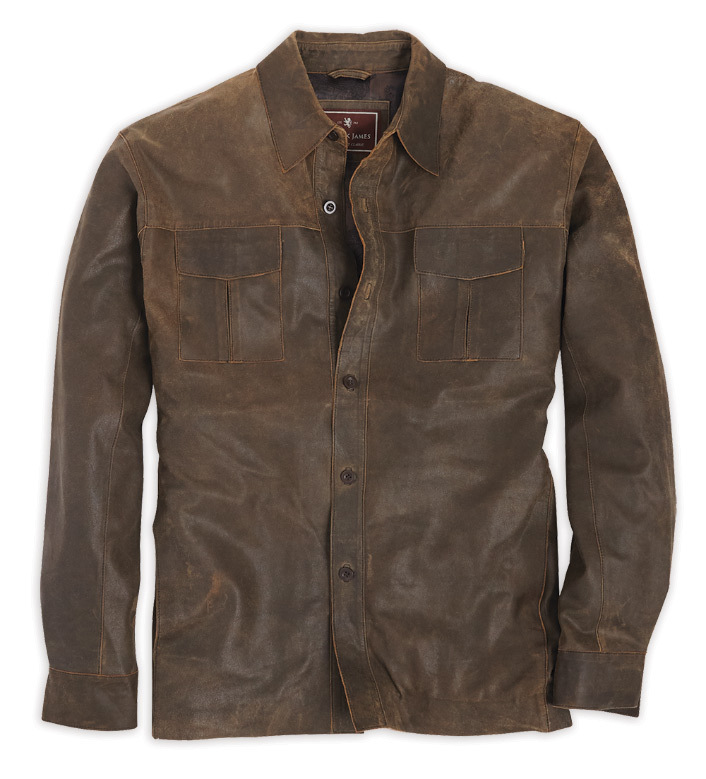 Rugged, brushed, antiqued lamb leather has a comfortable, year-round weight. Button front, shirt collar, two chest pockets with flap and inverted pleat, on-seam pockets, button cuffs, full lining and relaxed fit. Professional leather clean. Imported.